The first installment of Cassandra Clare's #1 NYT bestselling CLOCKWORK ANGEL adapts the steampunk fan favorite into the medium of manga for the first time! 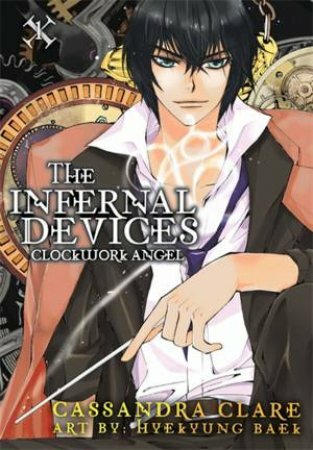 A prequel to Cassandra Clare's 'Mortal Instruments' series, THE INFERNAL DEVICES: CLOCKWORK ANGEL is the story of Tessa Gray, a sixteen-year-old American girl travelling alone to Victorian London who runs afoul of the city's sordid supernatural underworld. Rescued by the Shadowhunters of the London Institute, Tessa quickly finds herself caught up in an intrigue that may very well destroy her new friends - including the two enigmatic young men, Jem and Will, who have taken her under their wing. . .